The Revelers were an American quintet (four close harmony singers and a pianist) popular in the late 1920s and early 1930s. The Revelers’ recordings of “Dinah”, “Old Man River”, “Valencia”, “Baby Face”, “Blue Room”, “The Birth of the Blues”, “When Yuba Plays the Rumba on the Tuba”, and many more, became popular in the United States and then Europe in the late 1920s. In August 1929, they appeared in Holland with Richard Tauber at the Kursaal, Scheveningen and the Concertgebouw, Amsterdam. The above bio is negligent in failing to mention that the same group of vocalists had previously recorded, in a more traditional quartet style than that of The Revelers, as The Shannon Quartet, a name adopted c. 1922 by the group that had evolved from The Shannon Four, which had begun recording for Victor in 1917. By 1918, only Elliot Shaw (baritone) and Wilfred Glenn (bass) remained of the originally four members. They began, in 1925, to record songs in a more modern, jazzy style as The Revelers, but the quartet also continued to record sides for Victor as The Shannon Quartet until 1928. 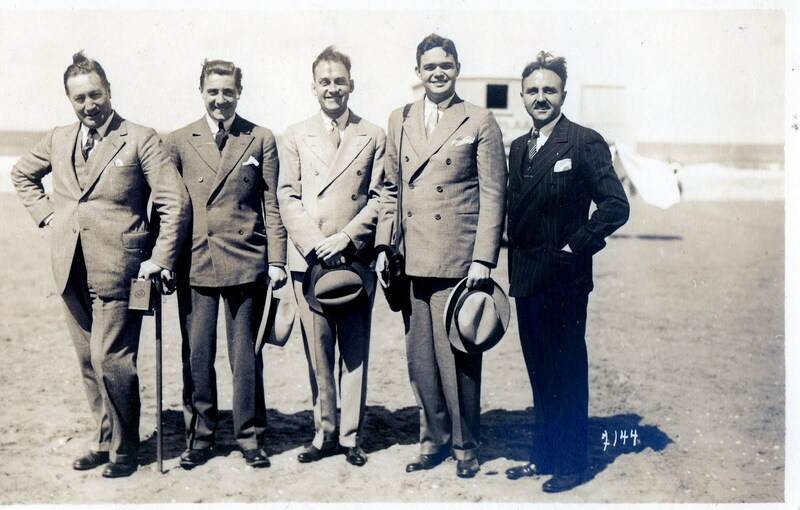 Around the time they began recording as The Revelers in 1925, the quartet, consisting of James, Baur (tenors), Shaw (baritone), and Glenn (bass), were expanded to a quintet by the addition of vocalist, pianist, and arranger Ed Smalle (who sometimes recorded with the Shannon Quartet as well) as an official member. 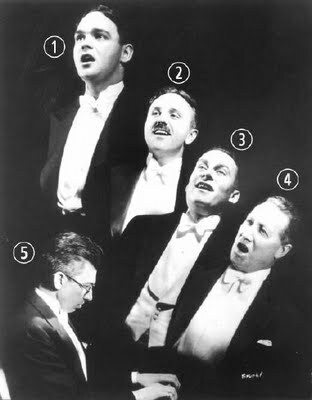 Source #4, below, identifies Smalle as a baritone, though he recorded numerous sides for Victor as a tenor, often as a vocal duet partner with Billy Murray (source #5). In claiming that Smalle joined the group in 1924, source #4 complicates the matter of connecting his arrival to the birth of Revelers. According to the Encyclopedia of Recorded Sound (See source #3), in their Shannon mode, the quartet recorded under at least seven other names for various labels. The Revelers also moonlighted under pseudonyms, becoming The Merrymakers when recording for the Brunswick label, and transforming into The Singing Sophomores for their Columbia sides, according to source #4, and the Wikipedia profile. 2. The Encyclopedic Discography of Victor Recordings (at UCSB.edu) treats The Shannon Quartet, and The Revelers as the same group, but sorts the recordings into two separate chronological (for the most part) lists. Wenn der Wind weht über das Meer (music: Werner Richard Heymann, text: Robert Gilbert) — soundtrack of the 1931 film Bomben auf Monte Carlo, recorded in 1931. The first chorus is in a plaintive close harmony with brief solo parts. 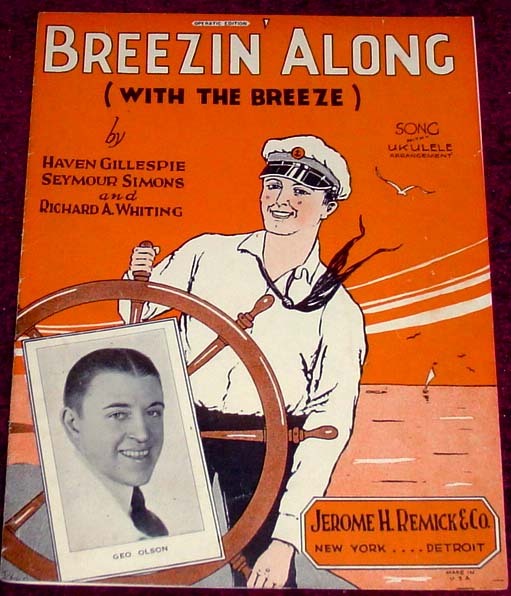 For the second chorus, as the camera pans across a ship and its crew, sequential parts are performed, in a variety of styles ranging from simple acoustic blues to bel canto, by crew members. Komm’ im Traum —1934 — German lyric version of “Close Your Eyes” (Bernice Petkere) — The label of the disk displayed in the video credits the lyric to the Comedian Harmonists.